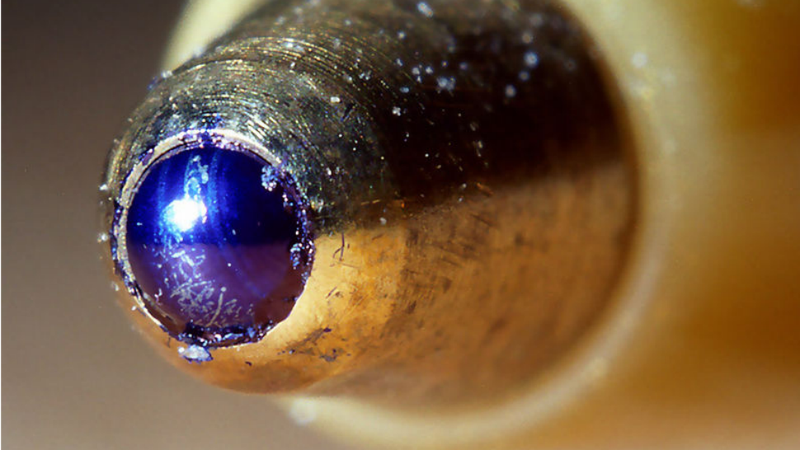 You've probably never used a fountain pen, or accidentally spilled a jar of refil ink and ruined your favorite pants. And for that, you have the ballpoint pen to thank. The handy gadget is having its 75th birthday today, so go sign away your rights to something to celebrate! Back in 1888, a guy by the name of John J. Loud developed the first precursor to the ballpoint been, but although the idea was sound, the execution just wasn't up to snuff. It worked, but just well enough to write on leather—not paper. And while it was popular with bovine graffiti artist of the day (probably?) it never really caught on. Then, in 1938—75 years ago to this very day—László Bíró and his brother György patented their own, more successful model. It used the same ball-in-socket method, but had a thicker ink, which allowed it to handle paper just fine, and avoided the janky, pressurized compartments previous models of the pen had relied on. Ballpoints didn't get popular here in the States until 1950 when Marcel Bich (later without the h) developed his Bic Cristal design, which you still chew on—and shatter in your mouth—today. So happy birthday to the ballpoint pen, putting portable ink in your pocket since before you were born!